Loop Road, cut in 1928, is 24 miles long, starting in western Miami-Dade County at the Tamiami Trail and winding westward through the Big Cypress Swamp. 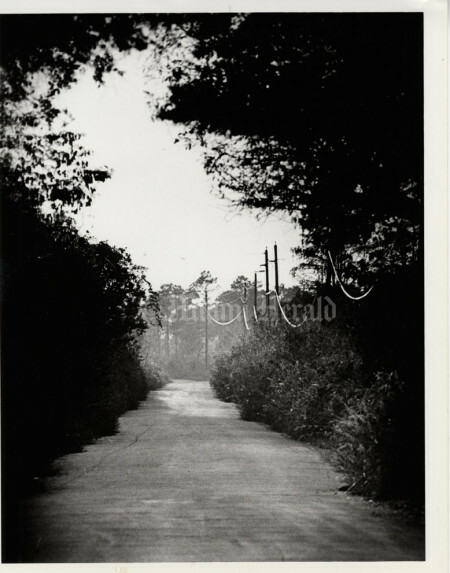 A picturesque, partially paved road, it has long offered some of the best glimpses of Everglades flora and fauna. 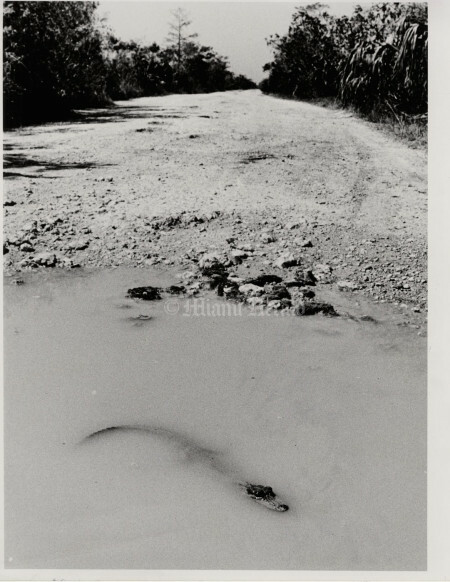 Published 3/17/1982: Joe Rimkus Jr./Miami Herald Staff -- In a pot hole on Loop Road a two-foot alligator cools off. 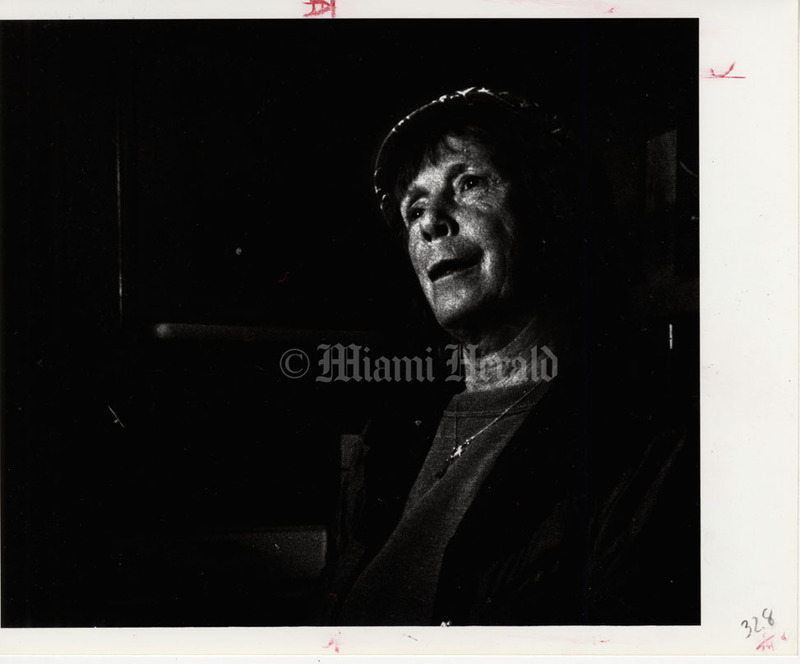 Published 1/15/1981: Marice Cohn/Miami Herald Staff -- 'Just me and the dog,' says resident Eslie Guise about his life on the Loop. 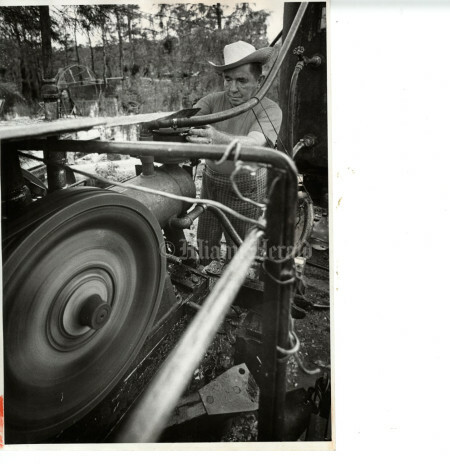 He built the Bumpy Loop Restaurant and General Store in 1960. "You better believe there's been bad characters out here," he says. 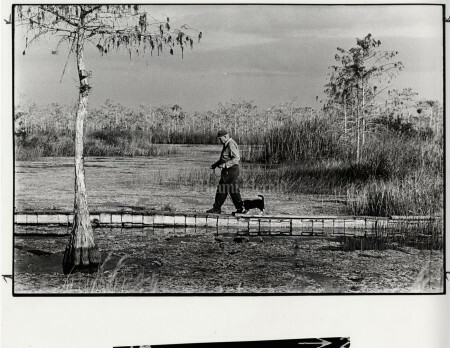 Published 1/15/1981: Marice Cohn/Miami Herald Staff -- Vacant stretches on the mailbox rail reflect the Loop's decrease in population over the years. 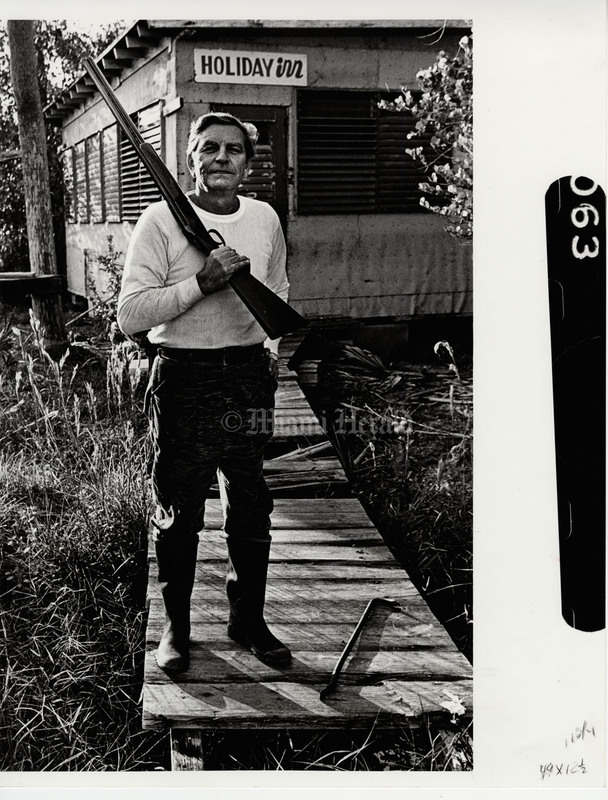 Published 1/15/1981: Marice Cohn/Miami Herald Staff -- Bob Ruff's got four more years to enjoy his hunting camp, the Holiday Inn, in the Big Cypress preserve. It is about nine miles southwest of the Loop. 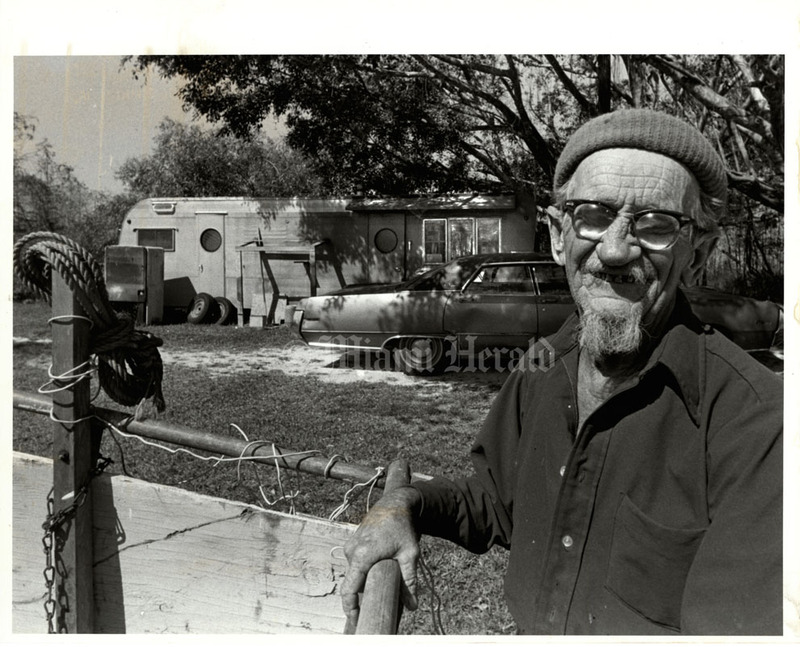 Published 1/15/1981: Marice Cohn/Miami Herald Staff -- Chicken Red Southard, a widow of 58, lives in a trailer behind the now closed Pine Crest bar. She misses the bar and old friends and refuses to throw out boxes of belongings left by people who have moved on. 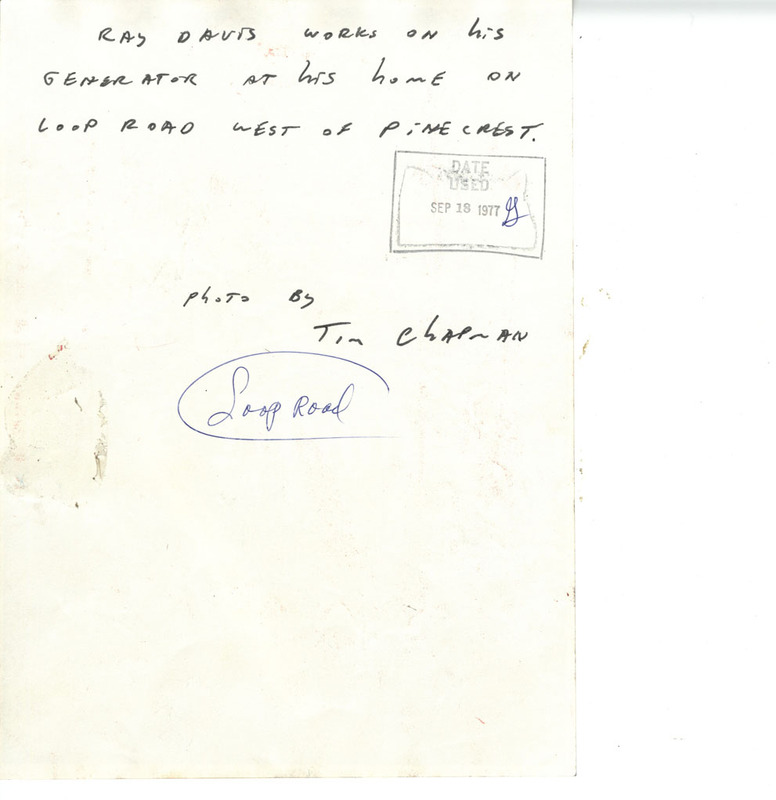 "We had all the dancing and friends and it was great. Now I have nothing." 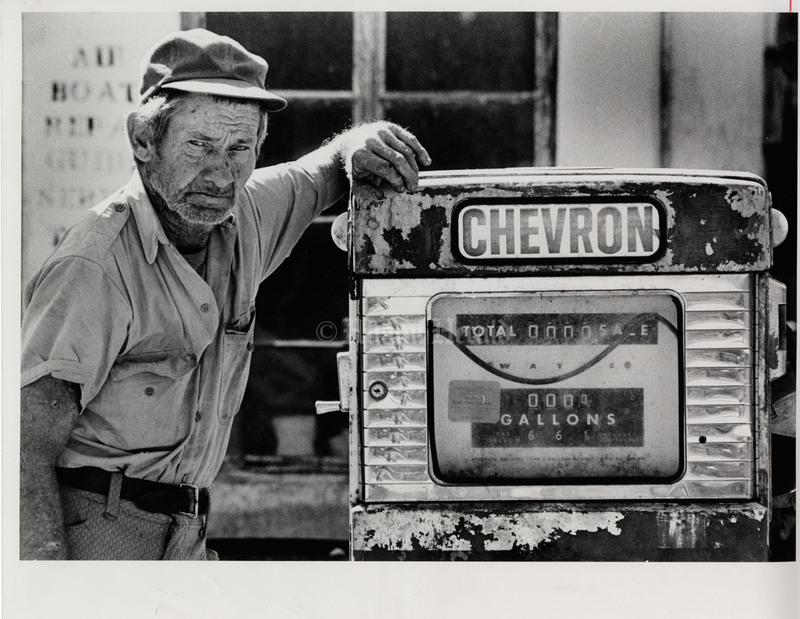 Published 3/17/1982: Joe Rimkus Jr./Miami Herald Staff -- Johnny Yates next to pump at abandoned gas station. 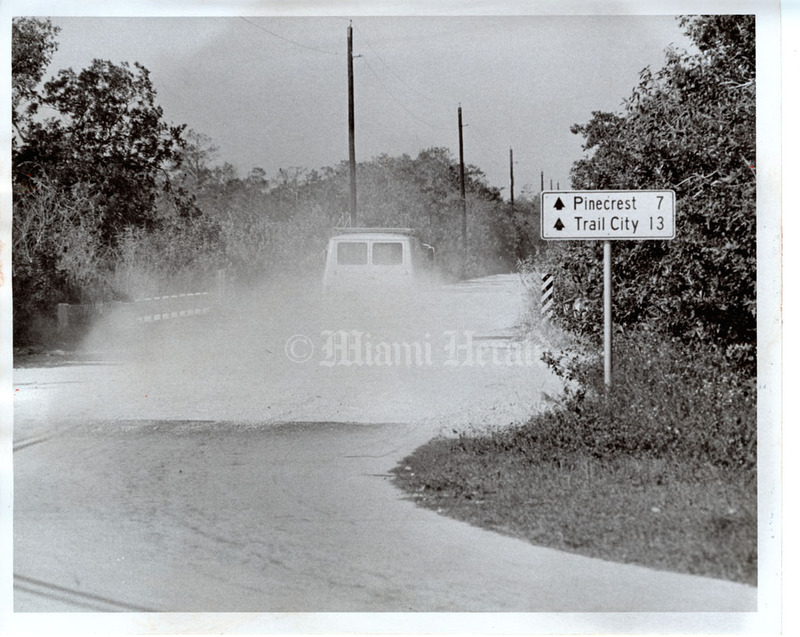 Published 1/15/1981: Marice Cohn/Miami Herald Staff -- Loop Road was cut in 1928, after Collier and Dade counties couldn't agree on where to lay out the Tamiami Trail. 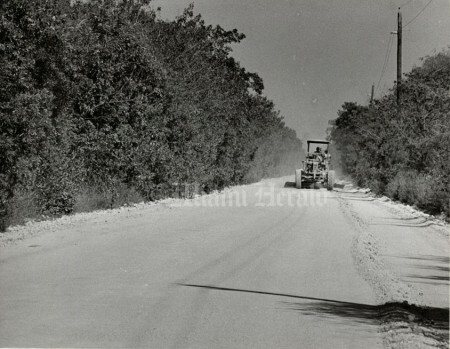 Dade's route won, but in a form of compromise, State Road 94, better known as the Loop, was created. 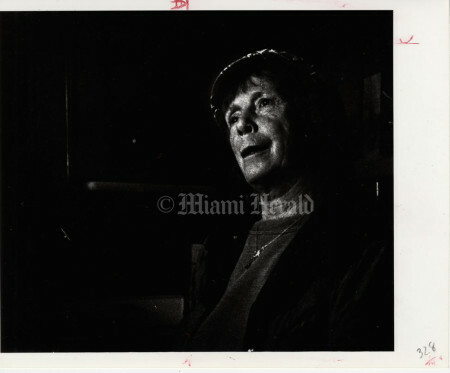 Publilshed 1/15/1981: Marice Cohn/Miami Herald -- Cotton Lambert gets along just fine without electricity and a telephone. 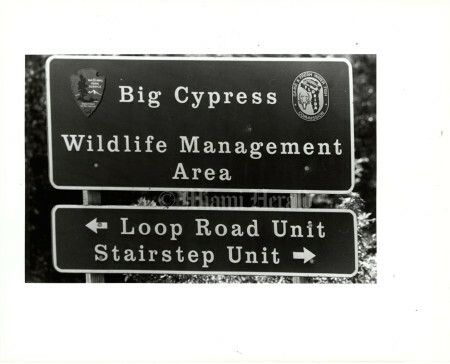 He lives on Loop Road, 24 miles of dirt starting in West Dade at the Tamiami Trail and winding westward through the Big Cypress Swamp and Monroe County. 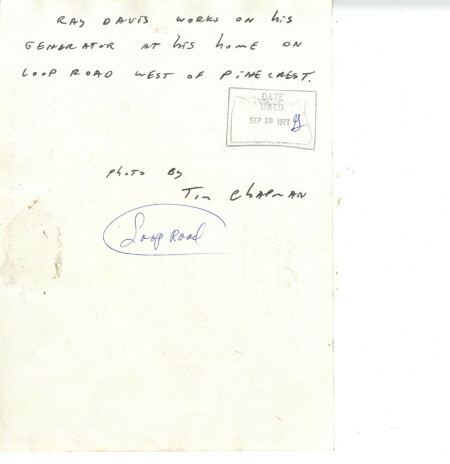 Cotton Lambert says his real name was Adolphus Lamar. 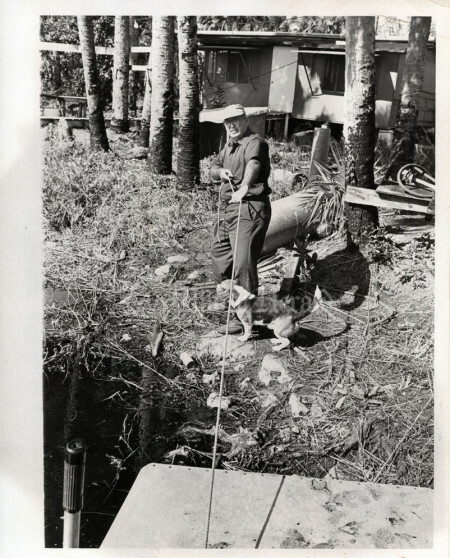 He moved to Miami in 1935 from College Park, Georgia. 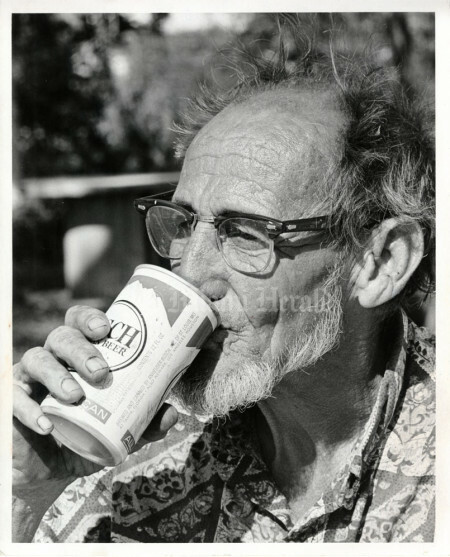 He moved out to the loop 10 years ago (1971). Published 9/18/1977: Tim Chapman/Miami Herald Staff -- Life giving water flowing through cypress trees under Loop Road to Everglades National Park. Published 9/18/1977: Tim Chapman/Miami Herald Staff -- (BACK OF PHOTO) One-lane gravel section of Loop Road west of Pinecrest. This is the best place to see Everglades flora and fauna. Published 9/18/1977: Tim Chapman/Miami Herald Staff -- One-lane gravel section of Loop Road west of Pinecrest. 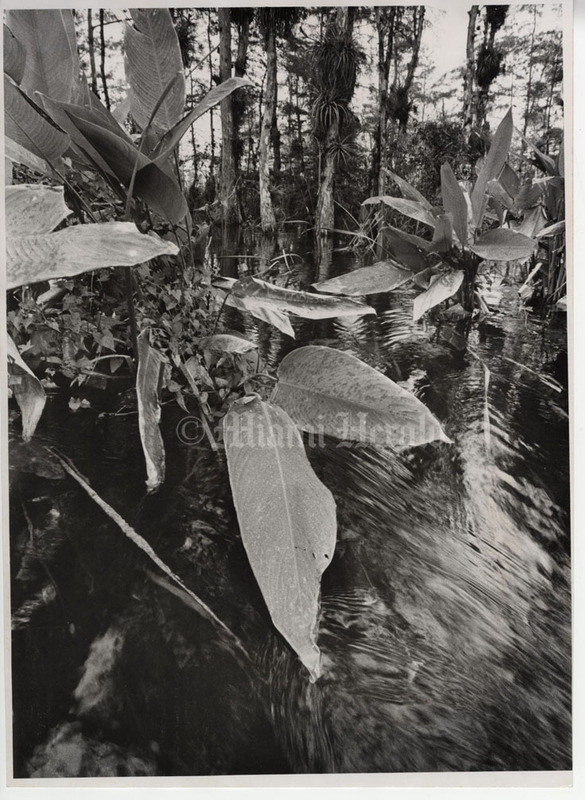 This is the best place to see Everglades flora and fauna. 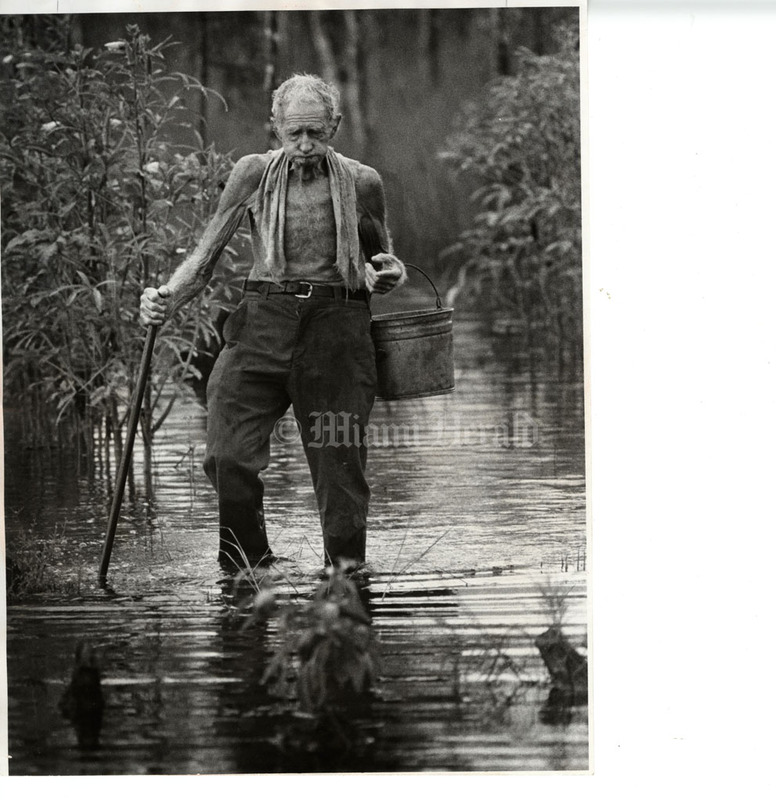 Published 9/18/1977: Tim Chapman/Miami Herald Staff -- Ninty-one-year-old Macdonald Johnson, who has lived on Loop Road in the Everglades for 35 years. Published 9/18/1977: Tim Chapman/Miami Herald Staff -- (BACK OF PHOTO) Ray Davis works on his generator at his home on Loop Road west of Pinecrest. 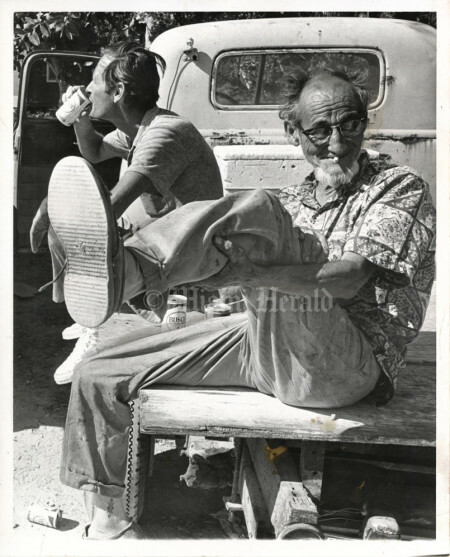 Published 9/18/1977: Tim Chapman/Miami Herald Staff -- Ray Davis works on his generator at his home on Loop Road west of Pinecrest. 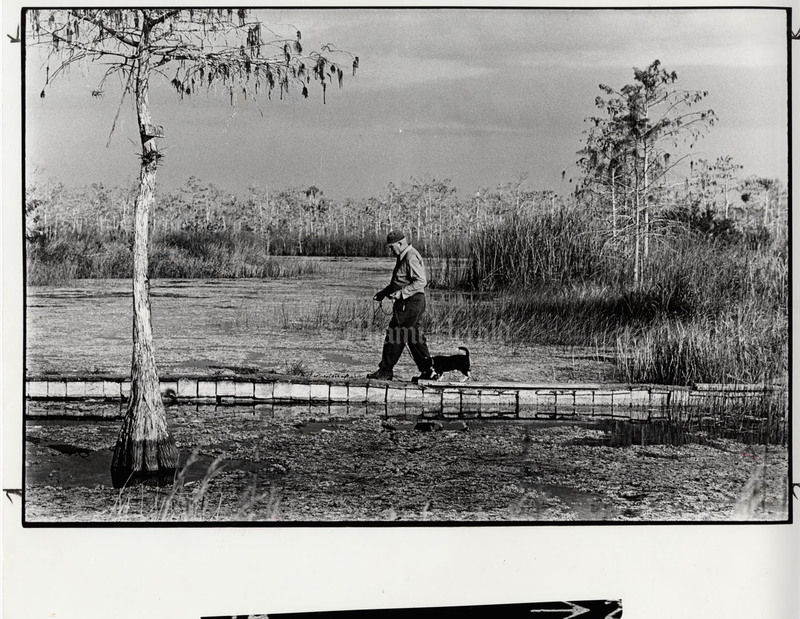 Published 9/18/1977: Tim Chapman/Miami Herald Staff -- (BACK OF PHOTO) Ninty-one-year-old Macdonald Johnson, who has lived on Loop Road in the Everglades for 35 years. 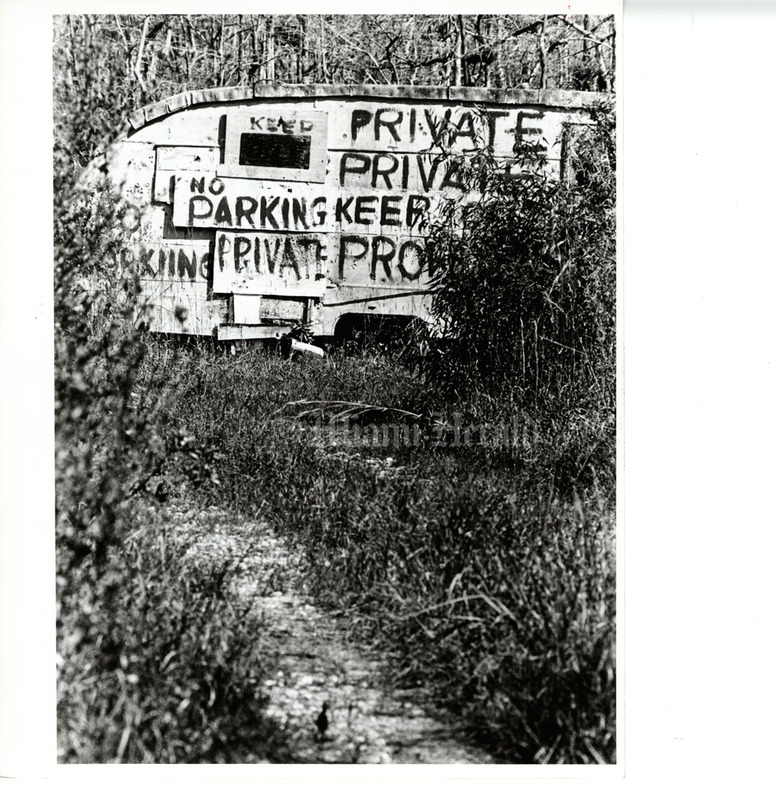 Published 3/17/1982: Joe Rimkus Jr./Miami Herald Staff -- The sentiments of its owner are clear: keep away from this camping trailer. Published 3/17/1982: Joe Rimkus Jr./Miami Herald Staff -- Abandoned swamp buggy behind the former home of the late Ervin Rouse, who wrote bluegrass songs including "Orange Blossom Special." He kept this weekend cottage off Jim Dill Road, which branches off from the Loop Road at Pinecrest. He died in Miami in July, 1981. Published 3/17/1982: Joe Rimkus Jr./Miami Herald Staff -- The former home of the late Ervin Rouse, who wrote bluegrass songs including "Orange Blossom Special." 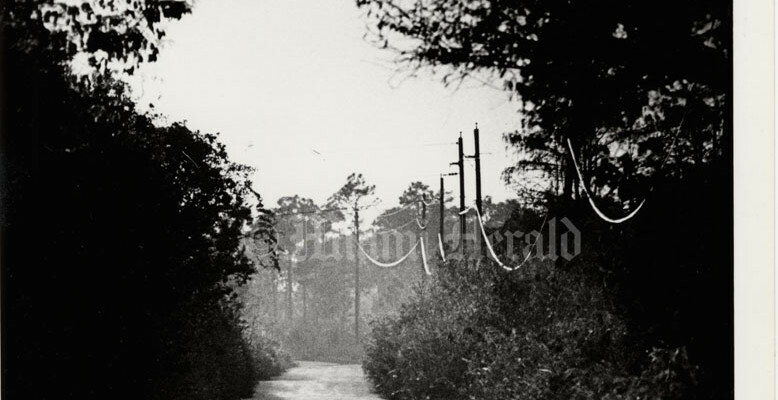 He kept this weekend cottage off Jim Dill Road, which branches off from the Loop Road at Pinecrest. 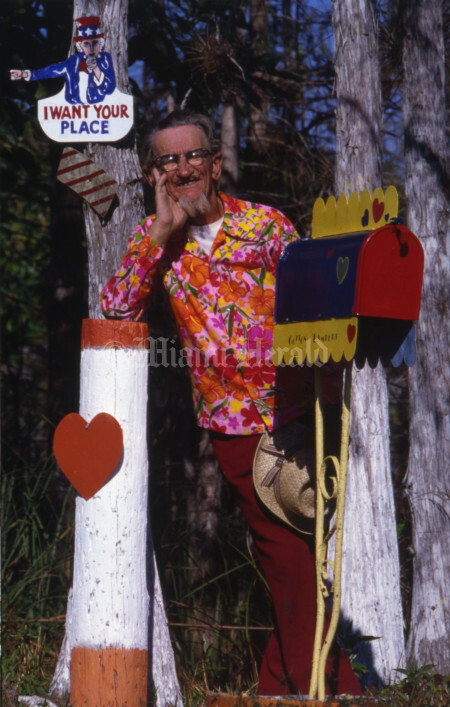 He died in Miami in July, 1981. Published 3/17/1982: Joe Rimkus Jr./Miami Herald Staff -- Sign at the beginning of Loop Road, next to Monroe Station. Published March 17, 1982: Joe Rimkus Jr./Miami Herald Staff -- Cotton Lambert, Loop Road resident. 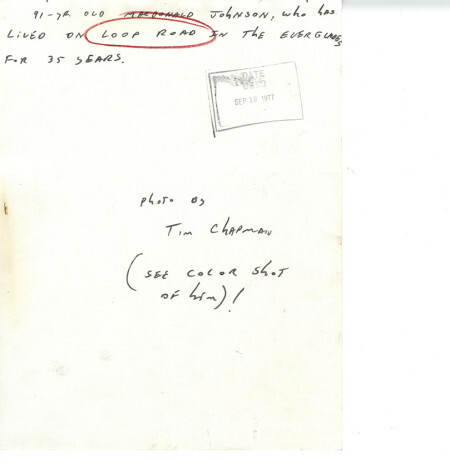 "It's pretty good with everyone gone." 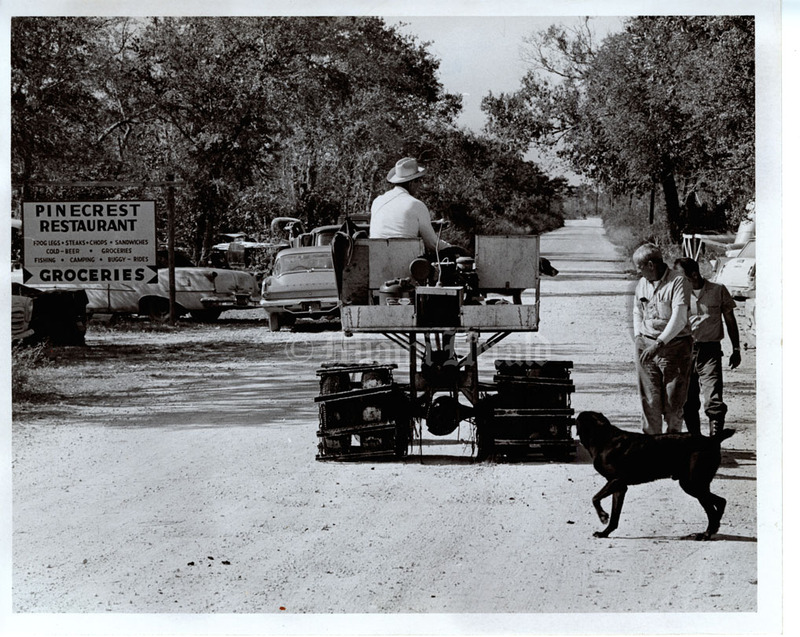 3/11/1976: Bob East/Miami Herald Staff (BACK OF PHOTO) -- Hunters, swamp buggy and airboat operators who use Loop Road off the 40-Mile Bend of U.S. 41 won't believe it, but the first couple of miles at the east end are now smooth as a baby's behind. Before traffic was imperiled if it was faster than 15 miles an hour. Now 55 is safe. 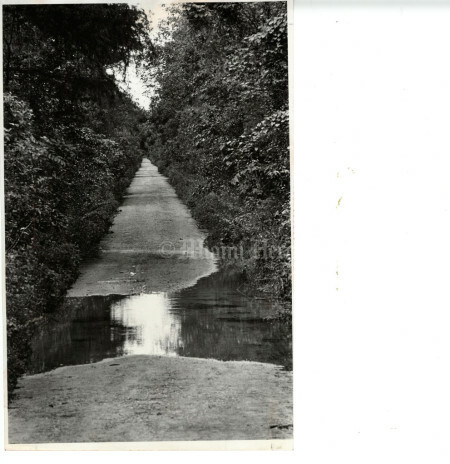 3/11/1976: Bob East/Miami Herald Staff -- Hunters, swamp buggy and airboat operators who use Loop Road off the 40-Mile Bend of U.S. 41 won't believe it, but the first couple of miles at the east end are now smooth as a baby's behind. 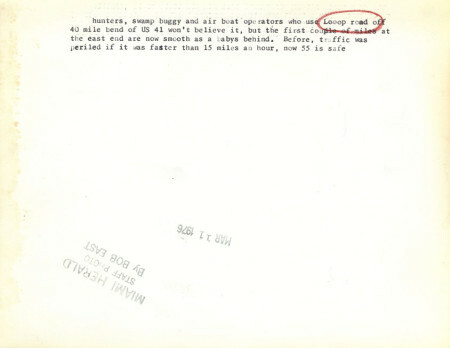 Before traffic was imperiled if it was faster than 15 miles an hour. Now 55 is safe. 12/3/1966: Jeff Joffe/Miami Herald Staff -- Unimproved road: Loop Road sign doesn't lie. 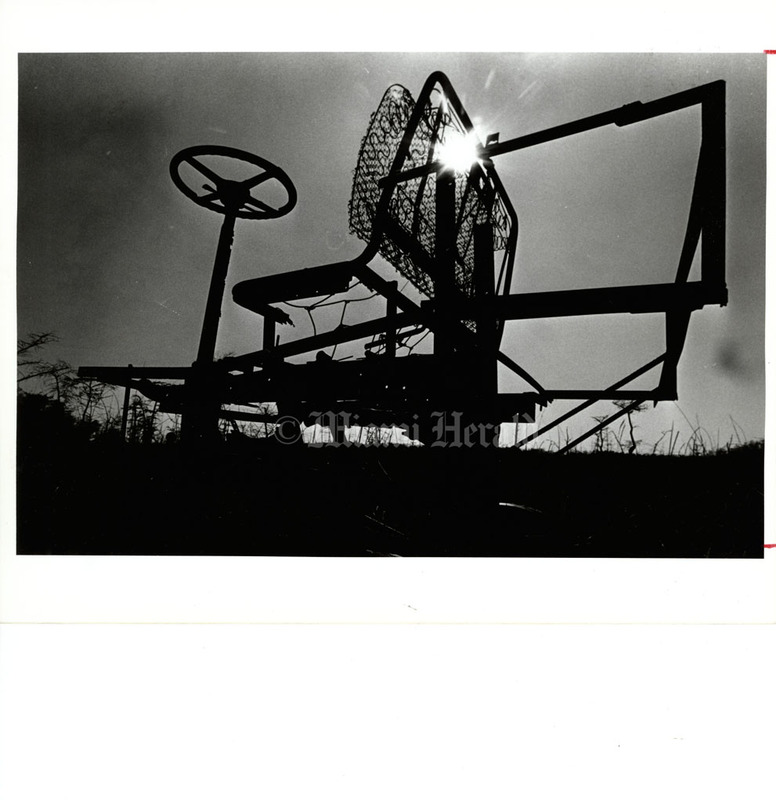 12/3/1966: Jeff Joffe/Miami Herald Staff -- Ken Townsend ties his airboat near his cabin off Loop Road. 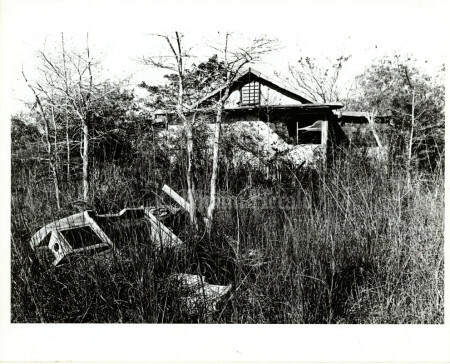 This place has been looted several times in the past two years. 12/3/1966: Jeff Joffe/Miami Herald Staff -- Main Street in Pinecrest, Florida, on the Loop Road. Life continues at a leisurely pace. 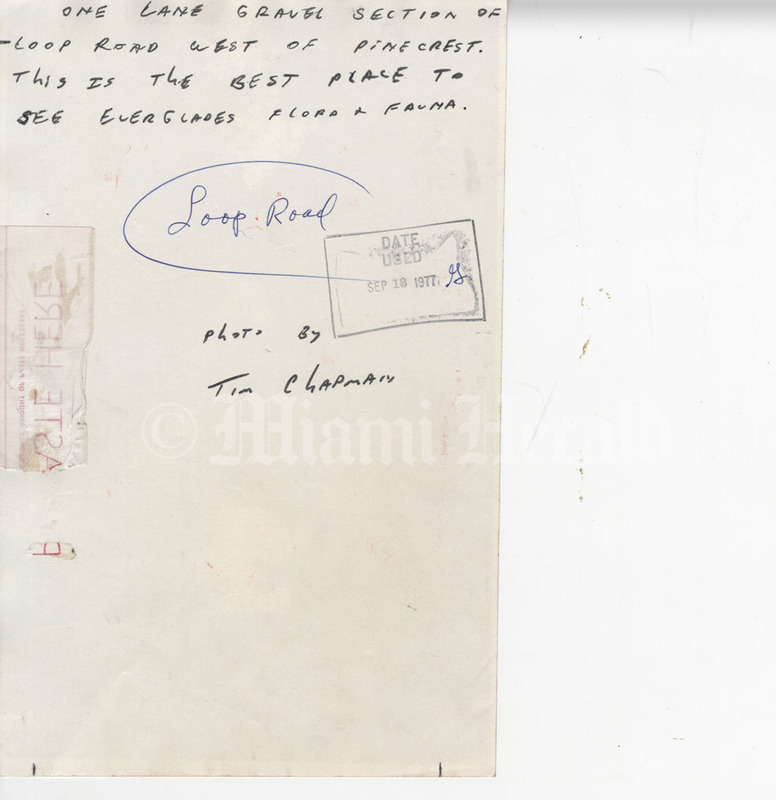 12/3/1966: Jeff Joffe/Miami Herald Staff -- The great Loop Road mystery: Where's Trail City? 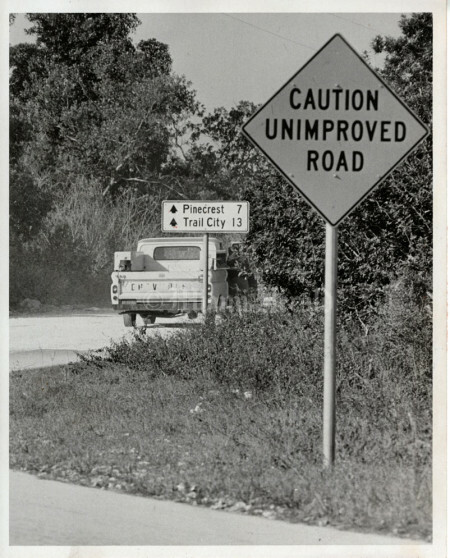 Maybe the State Road Department knows, no one else does. 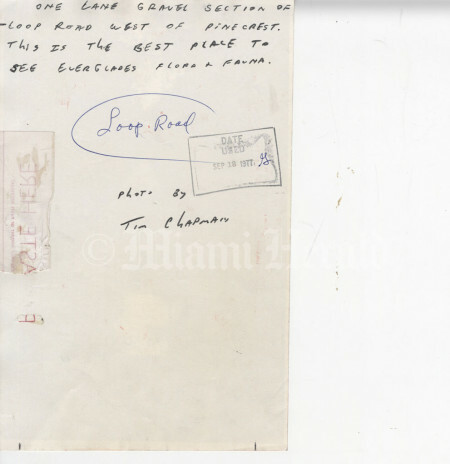 12/3/1966: Jeff Joffe/Miami Herald Staff -- Loop Road resident Ben Blitch of Pinecrest "sets foot in the big town only when he really has to."